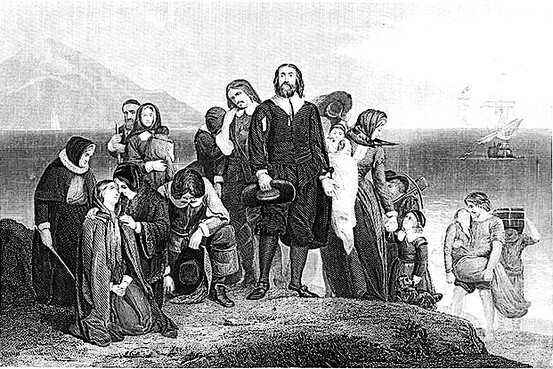 Here is a chronicle of the Pilgrims’ arrival at Plymouth, as recorded by Nathaniel Morton (1616-1685). It has been published annually in the Wall Street Journal since 1961. So they left that goodly and pleasant city of Leyden, which had been their resting-place for above eleven years, but they knew that they were pilgrims and strangers here below, and looked not much on these things, but lifted up their eyes to Heaven, their dearest country, where God hath prepared for them a city (Hebrews XI, 16), and therein quieted their spirits. To learn more about Nathaniel Morton, please click here.